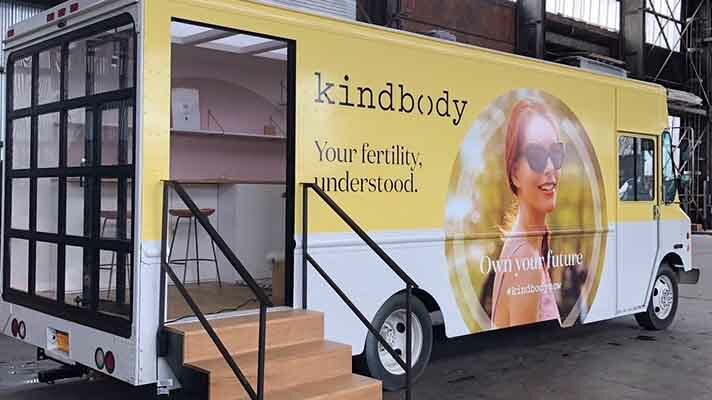 Progyny founder Gina Bartasi unwrapped Kindbody on Tuesday along with former executives from Google, Flatiron Health, Oscar Health, One Medical and Mount Sinai Health System. The company also includes other women leaders, notably co-founders Fahimeh Sasan, MD, joining from Mount Sinai, and Joanne Schneider, who previously was a product leader at Google and Flatiron Health, and Cynthia Hudson, a clinical embryology and IVF expert who owned Manhattan Fertility Specialists. Cecilia Lum also worked at Flatiron and NYU Langone Medical Center prior to Kindbody. Other Kindbody employees include Jeannette Norris, formerly a senior project manager at One Medical as well as Shilpa Patel, who previously worked at Oscar and now handles legal and business affairs for Kindbody, among others. The women-led startup debuted a week after Rock Health published a report finding that CEOs are still unique in the digital health realm. Only 10.2 percent of chief executives are female, in fact, which is up from 8.8 percent in 2015, but lags when compared to the 22 percent of women CEOs among Fortune 500 companies. Kindbody’s goal is to build a national network of women's healthcare facilities – at both pop-up and brick-and-mortar locations designed to harness technology for an improved patient experience. The company plans to focus first on fertility services and then expand into mental health, nutrition and gynecological services. "Healthcare is bifurcated and siloed, but it doesn't have to be,” Bartasi said in a statement. She added that her objective is to reinvent the existing healthcare delivery model by providing a continuum of care based on “true vertical integration” of all women's healthcare needs. Schneider said that although there have been significant improvements in the fertility lab, there's been very little patient-facing innovation around fertility. Moreover, she points out that one-third of all fertility clinics continue to use paper charts and none provides direct online scheduling. Bartasi has some experience in building new companies. Before Kindbody, she started the fertility benefit solution Progyny for self-insured employers with 14 of the top 32 Fortune 100 companies as clients.